Buy online your toyota Camry Today. 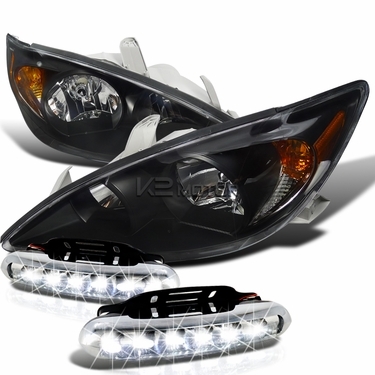 We offer Great deals on all Headlight Products here at K2 Motor. Replace your old or damaged headlights with these brand new set of 2002-2004 Toyota Camry OEM Black Headlights. These headlights are not only more durable than standard headlights, but they produce the same amount of light for only a fraction of the cost of factory headlights! These headlights are custom made for plug n' play straight to your vehicle with no additional wiring or hassle.